MLS# 14021100 - Built by Darling Homes - CONST. 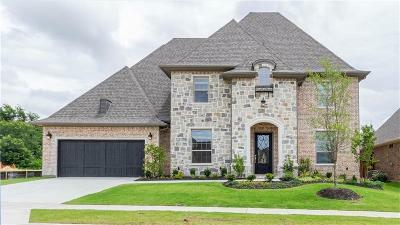 COMPLETED Mar 22 ~ Stunning new Darling Home. The home is positioned on a beautiful greenbelt lot with an amazing view of the trees behind the property. The view is the center piece for this property. This 5 bedroom 5 bath home has additionally a powder bath on level 1 and 2. The kitchen area has a hearth room with fireplace creating a cozy dining and sitting area. The custom oversized island in the kitchen, the beautiful custom cabinets with glass fronts are incredible. The vaulted family room complete with cedar dark stained beams and an additional fireplace with ship lap mantel continue the warm spacious feel of this home. Upgrades and details!